CAS is the very heart of the Years 12 and 13 at Chatsworth. It offers students an experiential learning environment through a range of different activities. CAS is the acronym for Creativity, Action and Service and is a fundamental element of what we do at Chatsworth. 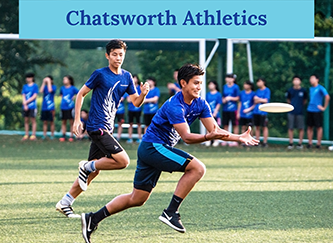 Chatsworth very much believes in the education of the whole student and CAS very much reflects the importance of having a balanced lifestyle that incorporates creative and physical pursuits in addition to helping others, especially the less fortunate. Students are expected to be involved in CAS activities for 3 - 4 hrs a week in a range of balanced activities. This provides a balance to the academic rigor of other subjects. CAS continues throughout Years 12 and 13 and all students must satisfy the requirements of CAS in order to be awarded the IB Diploma. Experiential learning focuses on the learning process for the individual. An example of experiential learning is going to the zoo and learning through observation and interaction with the zoo environment, as opposed to reading about animals from a book. Thus, one makes discoveries and experiments with knowledge firsthand, instead of hearing or reading about others' experiences. the learner must possess decision making and problem solving skills in order to use the new ideas gained from the experience. Creativity should be interpreted as imaginatively as possible to cover the widest range of arts and other activities and to include creativity by the individual student in designing and carrying out service projects. It can also be thought of as initiative. This could involve doing dance, theatre, music and art, for example. students should be engaged in group activities and especially in new roles, wherever possible. Nevertheless, individual commitment to learning an art form is allowed, where it respects the requirements for all CAS activities: that goals are set and the student reflects on progress. 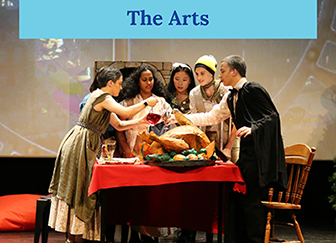 Examples that our students have been involved in are: teaching art to young people, oil painting courses, learning a new language, learning/teaching dance, drama productions, singing, creating newsletters/websites that are useful to others in some way. Students must show a commitment to a chosen creative project and involvement must be for no less than 3 months. Action can include participation in expeditions, individual and team sports and physical training. Action may involve participation in sport or other activities requiring physical exertion – such as expeditions and camping trips or digging trenches and laying water pipes to bring water to a village. As a general rule Action should raise the heart rate for at least 20 minutes. Examples that our students have been involved in are: Rock-climbing, figure skating, badminton, coaching teams, scuba diving. Students must show a commitment to a chosen action project and involvement must be for no less than 3 months. Service projects and activities are often the most transforming element of the programme; they have the potential to nurture and mould the global citizen. All students are required to undertake a 12-month service project that incorporates another component of CAS, e.g. creativity and demonstrates collaboration with others. Service involves interaction, such as the building of links with individuals or groups in the community. The community may be our school, the local district, or it may exist on the national or international levels. Service activities should not only involve doing things for others but also doing things with others and developing a real commitment with them. The relationship should therefore show respect for the dignity and self-respect of others. Examples that our students have been involved in are: Riding for the Disabled, Child at Street 11 (non profit making school for low income families), Tabitha (Cambodia), Action for Singapore Dogs, Blue Dragon Children’s foundation (Vietnam), working with younger students at school both in the classroom and in extra-curricular activities. There are 8 learning outcomes that all students must meet. These are crucial to the student’s development in CAS. Each student must demonstrate that each of these learning objectives have been met to some extent throughout their course. This will be most evident through your on-line journal. At a minimum this implies attending regularly and accepting a share of the responsibility for dealing with problems that arise. A 12-month service and a 3- month action and 3-month creativity project are required. At least one 12 month project involving collaboration with others that integrates two of the CAS components is required. Can you see yourself as an individual with various skills and abilities, some more developed than others, and understand that you can make choices about how you wish to move forward? A new challenge may be an extension to an existing activity or undertaking a new one. Can you show that you have planned and initiated either on your own or with others? You may be involved internationally but there are many issues of global importance that can be acted upon around Singapore. Ethical considerations come up in many CAS activity. Can be shown in journal entries / conversations with CAS advisors. These skills may be shown in activities that the student has not previously undertaken or has increased expertise in an established area. Should an IB Diploma student fail to fulfill the CAS requirements or not meet the learning outcomes, the CAS supervisor is obliged to report this to the IBO. This will normally result in no diploma being given until the requirements have been met.